There is a reason why I don't cook. I can bake, but if you ask me to cook, make sure you have back up. Just doesn't. No matter what I do. Measure out ingredients according to recipe. Check. Be disappointed with outcome. Check. The recipe stated 30grams of salt for the pizza dough...and I stupidly followed. It was a trusted Masterchef recipe too. 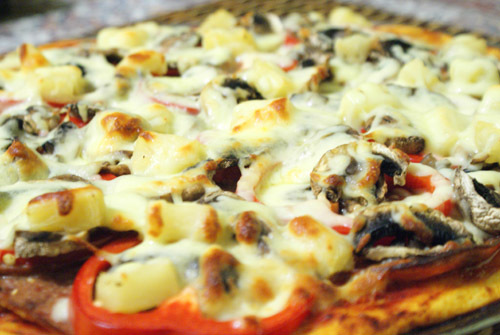 The pizza topping altogether is not bad. The base? Oh. My. God. It was like consuming one week's worth of salt intake in one slice of pizza. At least I learned my lesson today. Always follow your natural instincts. Trust it. If it says, "This is not right". Then, it really is not right. For now I'll just stick to baking, thanks. The best pizzas have no more than 3 - 4 toppings. 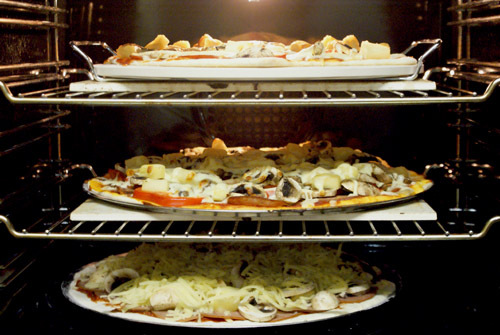 Always mix yeast with lukewarm water and keep the dough in a warm environment. Always trust your first instinct and use common sense. Don't be like me. Be prepared to laugh at yourself when you make mistakes. Nobody is perfect. Even famous Chefs make mistakes too. Now add chocolate and peanut butter together. Oh, yeah. 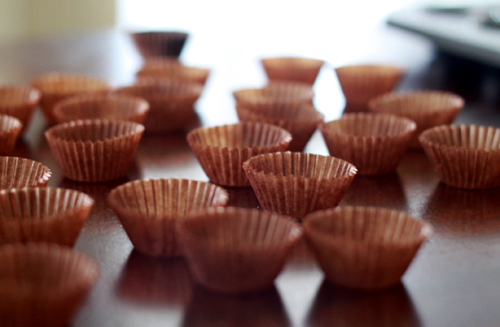 Adorable little Peanut Butter Cups. But you see, American imports are not cheap in Australia. I remember craving Cap'n Crunch cereal for a few weeks straight a while back and searched all around town to get one. In the end, I gave up. I sacrificed my craving. $13 for a box of cereal is just not worth it. The same goes for Reese's Peanut Butter Cups. 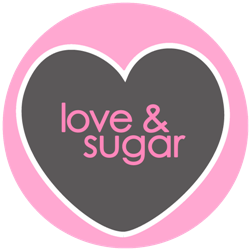 Not only is it pricey, it is ridiculously sweet. So, what was I left to do? Make my own. If only I knew how to make cereal. 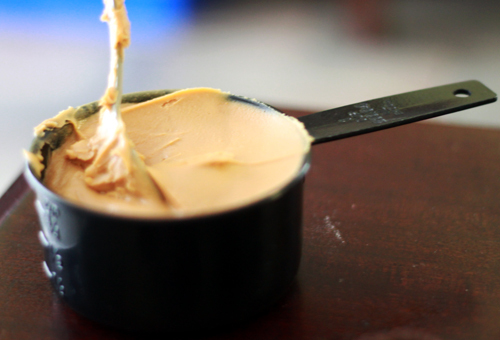 Mix the 3/4 cup Peanut butter with sugar and butter. Easy. 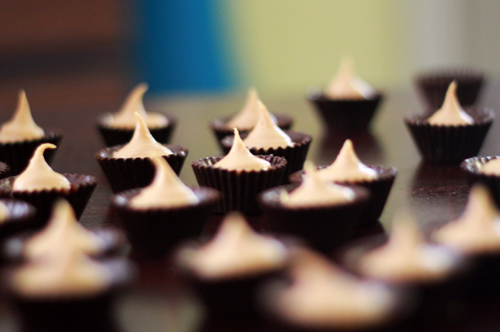 Lay out miniature brown paper cups on the table. The smaller, the better. Mini = cute. 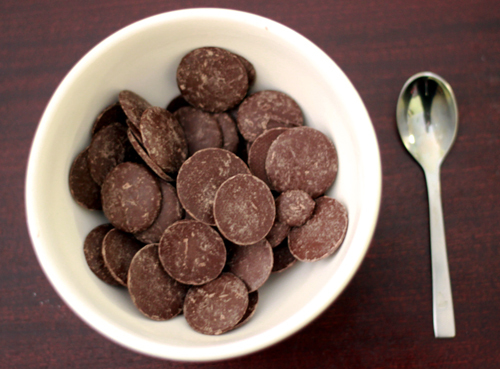 Now take a teaspoon of chocolate and spoon it into your paper cups. 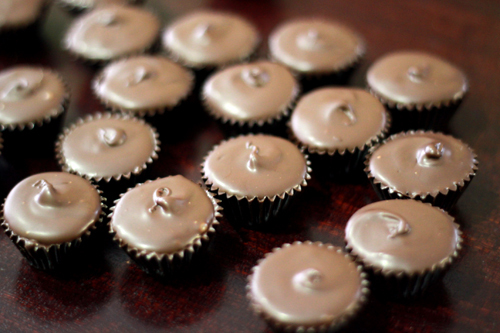 Once the chocolate has hardened, pipe the peanut butter filling into the cups. 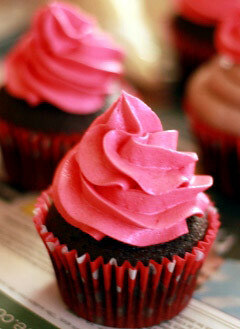 If you don't have a piping bag, you can spoon it in. But piping makes life easier. We'd all prefer an easy life. Then finish by coating the top with more chocolate. ½ cup icing sugar, sifted. 1. 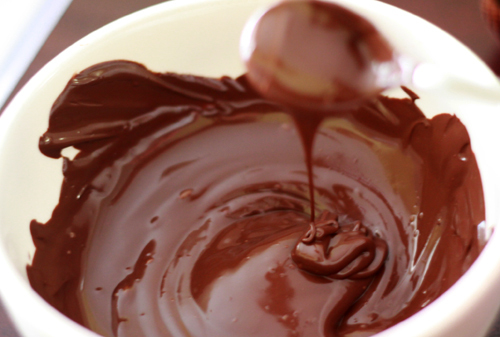 Melt half the chocolate in the microwave until smooth and silky. You can also do this in a saucepan over boiling water but using the microwave is quicker and easier. 2. Use a small spoon or small paintbrush to coat insides of the paper cups with the melted chocolate, making sure to cover the bottom and sides well. Allow to cool. If it's still not set within 10 minutes, transfer them to the freezer until it hardens. You can use mini muffin pans to stop them from sliding around. 3. 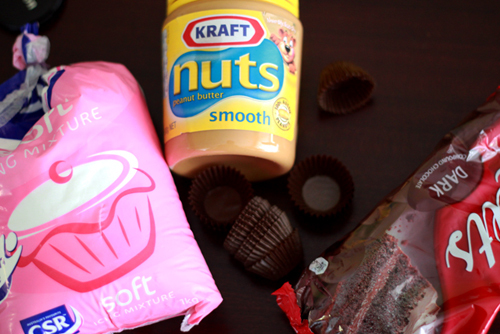 Combine peanut butter, butter and icing sugar in an electric mixer. Mix on low - medium speed for about 2 minutes or until combined. 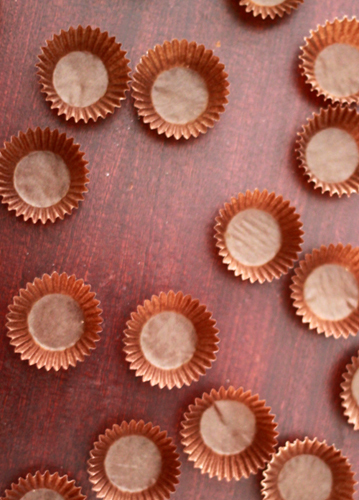 Pipe peanut-butter filling into each cup until three-quarters full. 4. Spoon melted chocolate into each cup to cover. Again, you can let it set by itself or transfer it back to the freezer for a few minutes. 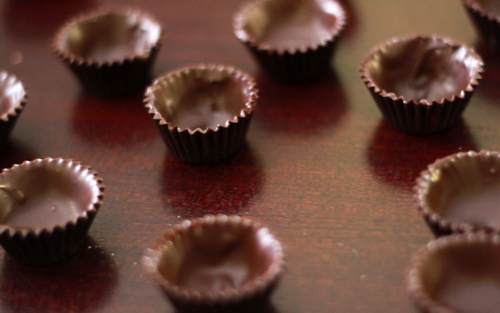 These peanut butter cups are best eaten within 2 - 3 days.